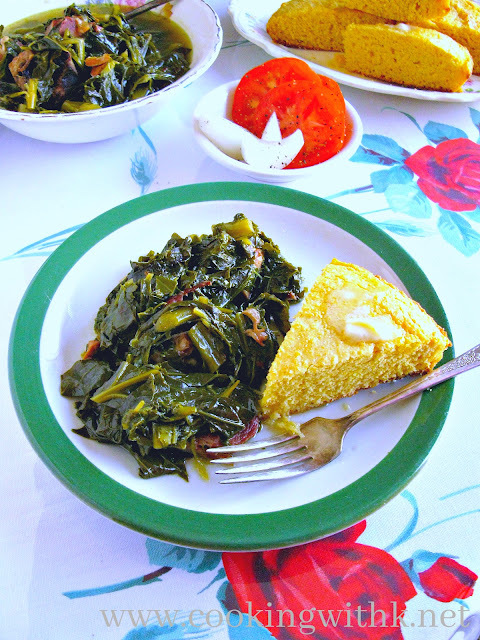 Southern Collard Greens, a delicious Southern dish served in most households all year long, especially around the holidays. 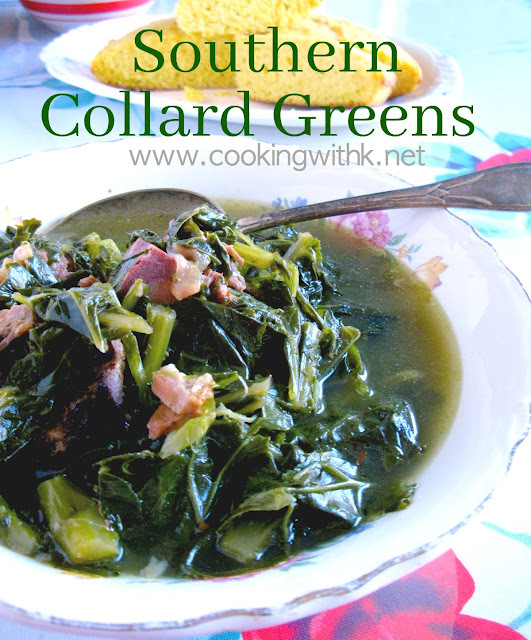 In the south, we generally cook large amounts of greens at one time, referring to them as an ole' mess of greens. My Mother's recipe for collard greens is the best. 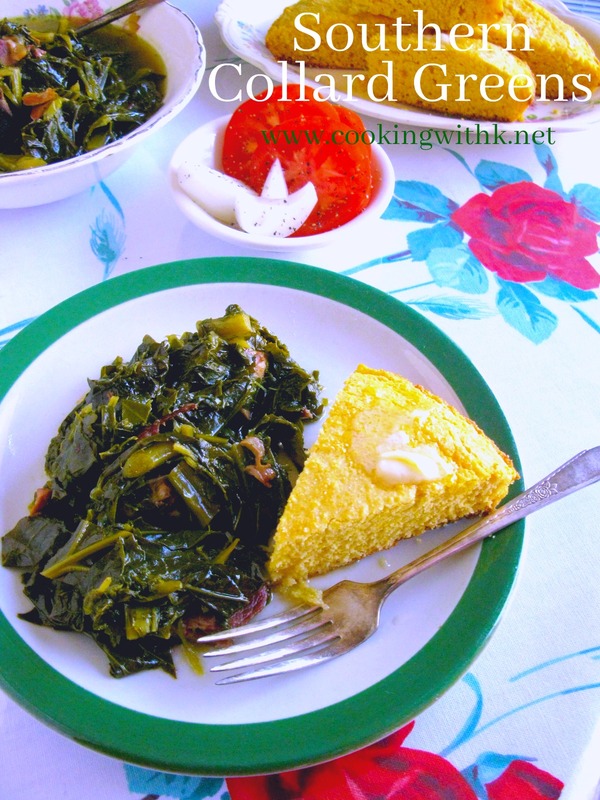 Her recipe brings out all the secrets to the perfectly cooked greens. 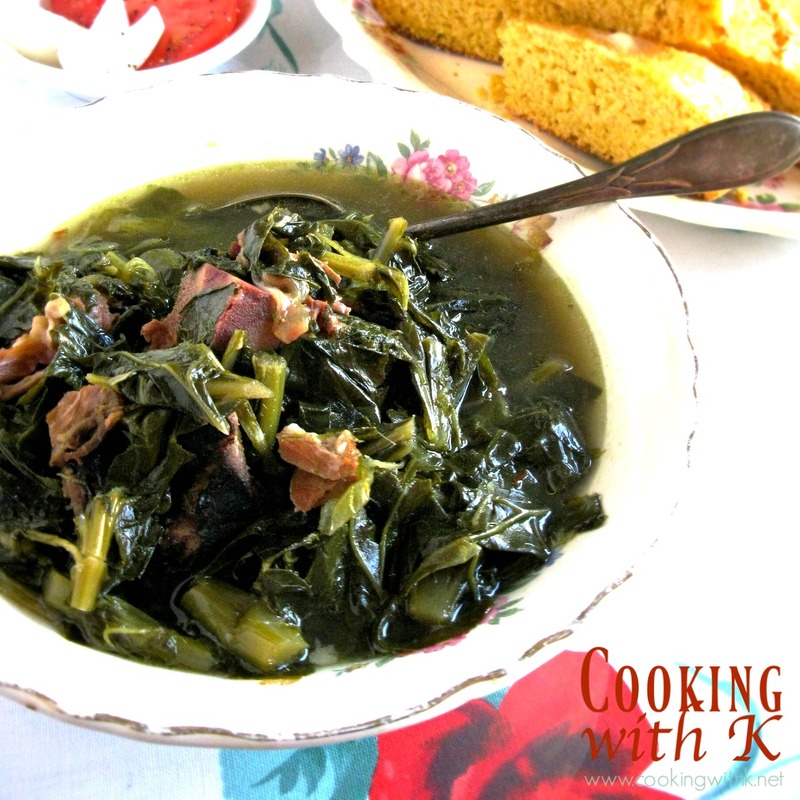 Mother cooks her greens on a low simmer for hours to get them tender and flavorful, starting off with some sort of smoked meat. 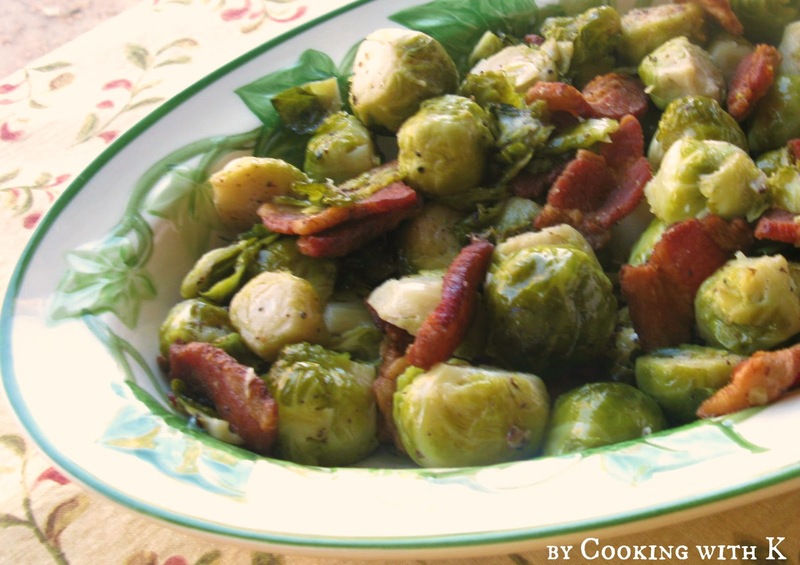 She may use a leftover ham bone, a slab of bacon chopped, fatback (salt pork) or even ham hocks, smoked meat renders the best flavor. She starts cooking the smoked meat in a stock pot of water first, cooking it for about an hour or until it becomes slightly tender. While the smoked pork is cooking, it is the perfect time to trim the stems and cut the greens into wide ribbons. While the grocery stores today are stocked with pre-packaged fresh collard greens already washed and trimmed, I still like to cut and trim fresh collard greens on occasion. It really doesn't take that long to do. 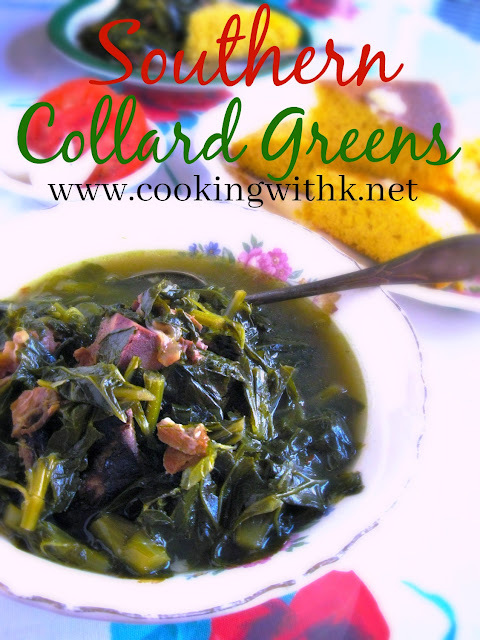 Once all the collard greens are trimmed and cut into wide ribbons, add them to the rich smoked pork broth. At this time season the greens really well. I like to add a chopped onion and some red pepper flakes for some kick. It adds a boost of flavor like no other. One of my Mother's secrets to eliminate the bitter taste of the greens is adding a few tablespoons of sugar and equal amounts of vinegar to the broth. More like a sip and taste to get the right balance of flavor. It all depends on the sweetness of the greens. There are those who say it depends on the time of harvest. The earlier the harvest, the less bitter they are. 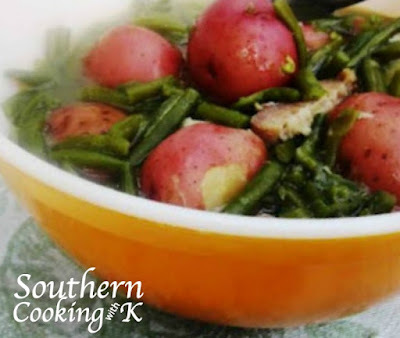 If the greens need a little more water, add some, remembering all the liquid turns into this wonderfully delicious broth southerners call pot likker. 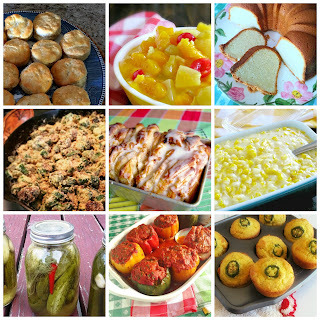 Perfect for sopping up with a slab of cornbread. With the Thanksgiving around the corner, I hope you will get to make some Collard Greens for your holiday feast. Enjoy! In a large pot, bring 3 quarts of water to a boil. Add ham hocks, salt, and black pepper. Cook until meat is tender about 1 hour. Remove meat from broth and set aside to cool. Add cut collard greens, onion, and red pepper flakes to the broth. Cover and simmer. While greens are simmering, shred smoked meat and add to the greens. Continue simmer for 1-2 hours checking on the tenderness of the greens after 2 hours. Just before the greens are finished cooking add the sugar and vinegar. Tasting for balance. If the broth is too sweet, add more vinegar, and if too acidic add more sugar. Taste for additional salt and pepper. This looks amazing. It has been too long since I have had collard greens. 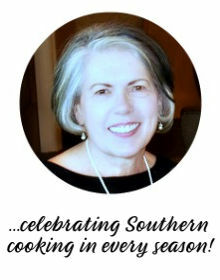 I hope to try your recipe soon! Yum! You just made up my mind on what green vegetable to serve with my Thanksgiving turkey. 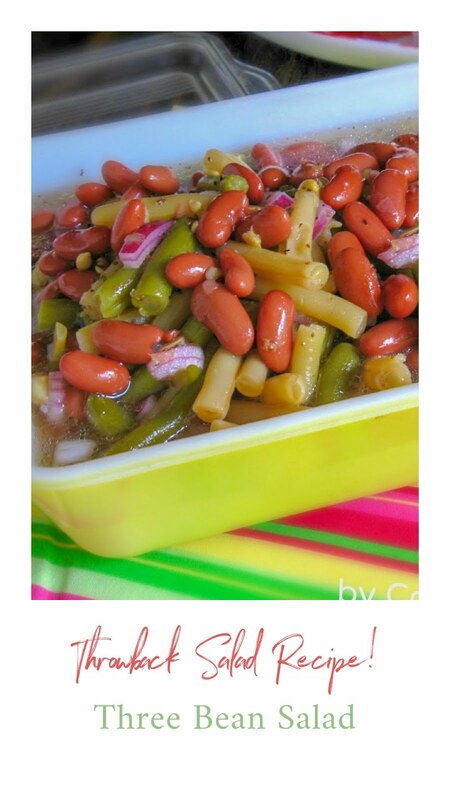 I'm going to make this in my crock-pot. Can I make these a day ahead and then reheat just before dinner?